One of the reasons people are so fascinated with crystal skulls is that much of their ancient history is still a mystery to us. Made from a clear or milky white quartz but more commonly known as crystal rock, many crystal skulls are now in the hands of private collectors and public collections, one such public display being the British Museum in London, England. One of the most famous crystal skulls is known as the Mitchell-Hedges Skull, named after the British ‘Indiana Jones’ like adventurer who found it. Its discovery in 1924, was said to be from a ruined city of the Maya civilisation called Lubaantun, located in Belize in Central America. Despite the controversy around its legitimacy, even extensive laboratory testing done in Silicon Valley by the electronics company Hewlett Packard, has been unable to prove otherwise. Some people believe that the crystal skulls discovered over the past few centuries date back tens of thousands of years to ancient civilisations such as the Aztec, Maya, Mixtec, and Toltec. 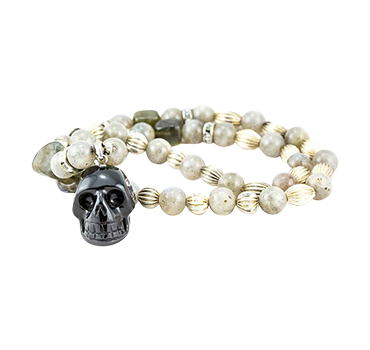 For many people, the allure of crystal skulls comes from the belief that the skulls have supernatural powers and/or healing properties making them popular as meditation crystals. 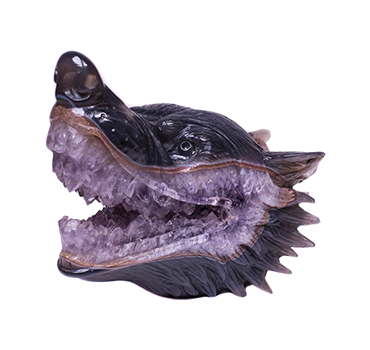 Inside our shop located in Byron Bay NSW or in our online store, you’ll find a wide range of hand carved crystal artefacts. 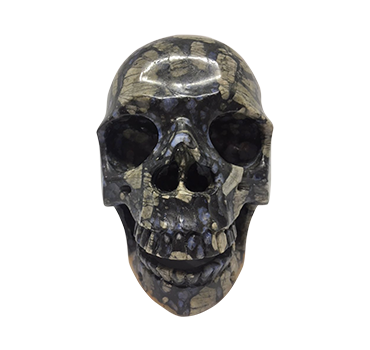 We don’t just sell Human Skulls, we also sell Aliens, Animals, Mythical Creatures, and Custom Crystals. With our convenient and secure online shopping cart, all purchases can be made 24/7/365 and shipped Australia wide.